The Kent Film Office was established in 2006 as an economic development initiative by Kent County Council. It generates inward investment into the Kent economy from the film and broadcast industries while ensuring that any filming activity taking place in the county is lawful and considerate of Kent’s residents and businesses. Kent Film Office’s mission is to maximise inward investment from filming activity for a minimum of disruption to residents and businesses. 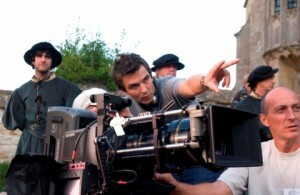 Primarily, the Kent Film Office offers a first class Film Commissioning Service to the film and broadcast industries. For a film permit or general advice about filming in Kent, please go to our Contact Us page. For information about filming in Kent if you are a student, please visit the Student Portal. To search through our Locations Database please visit our Locations Database page. To register your Kent property as a film location please visit our Location Owner’s page. If you are looking to get into the industry or want to apply for work experience at the Kent Film Office, please visit our First Steps into the Industry page. If you want to find out more about Kent’s filming history and film tourism trails, please visit our Movie Map. Since its launch, the Kent Film Office has supported many high profile productions, such as Avengers: Age of Ultron , Into The Woods, Wolf Hall, The Tunnel, Rush and Great Expectations and filming activity generates on average more than £2.2 million direct spend into the Kent economy every year. As the Kent Film Office is a free service to productions, all of this inward investment is directly benefitting local businesses, communities and attractions as part of KCC’s regeneration. However, the actual economic benefit to the county is far higher than the £2.2 that was spent directly by productions. Industry reports show that looking at the whole of the supply chain such as crew going to a local pub after work, buying supplies from local shops, bringing family down for visit etc, the true economic benefit is closer to twice the original spend, i.e. £4.4m. In addition to this, there is an estimated tourism benefit of at least 60% of what was originally spent in Kent for certain projects. Filming can be a disruptive and dangerous activity if left unmanaged. The Kent Film Office, as part of the Kent Filming Partnership has set out A-Z filming guidelines to ensure that all filming activity is lawful and ensures that operators carry valid Public Liability Insurance, Risk Assessments and have followed due diligence in informing affected residents and businesses of their activities and potential disruptions. To maximise the Kent offer to the creative industries, it has to extend beyond film locations and include a skills base and local support facilities that visiting productions can tap into. The Kent Film Office operates in a highly competitive market and aims to support and grow the local skills base in the county. At the national level, we work with and through Creative England and Creative Skillset and locally with and county based agencies, such as the Maidstone Studios, Screen South, our colleges and universities and media networks including Kent Creative Live.